We never get tired of sharing the story of our birth. In 1993, a young entrepreneur was in Russia, recruiting computer programmers for his software company, when he was offered a ride in a MiG-29. Being a really smart guy, he accepted the offer with supersonic speed. You can find some of the earliest TV news stories that aired about our MiG flights on our website. In the last two decades, we've helped thousands fall in love with the incredible MiG-29. You can view photos of many of our past flyers in our online photo gallery. Call or email us today and you can be flying a MiG to the edge of space in May. Our next "open enrollment" Covert Ops Counter Terrorism Adventure is a two-day mission slated for April 11th to 13th. Training takes place near Miami and is led by former Israeli Special Forces operative Garret Machine. The $2950 per person cost includes intense training, hotel accommodations and several meals. Groups of four or more can schedule training missions virtually anytime. For more information, contact Incredible Adventures. We first met Jillian in 2005, when we sent her to San Francisco to help oversee our Farallones Great White Shark Expeditions. She then helped to launch our Bahamas Tiger Shark Adventure. Now, our favorite shark-loving marine biologist and underwater videographer is involved in another project. "SharkyJill" is one of the great people behind Sharks4Kids, an organization dedicated to creating a new generation of shark advocates. 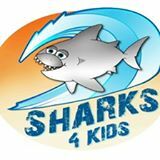 We encourage you to share the Sharks4Kids website with every teacher and parent you know. If you love sharks like we do, you'll enjoy this Sharks4Kids video introduction to Norman the Nurse Shark. Spend a fun and educational weekend this March with "the reigning king and queen of survival". Incredible Adventures is excited to announce the debut of a new "couples survival adventure" led by two of our favorite people, Mykel and Ruth Hawke. If you've seen their popular TV shows "Lost Survivors" and "Man,Woman, Wild", you know that together, the Hawkes can survive virtually anything. This adventure is being squeezed in between film shoots, so this could be the only time this adventure is offered this year. Payment must be made in advance, by check or wire transfer. For more information, contact Incredible Adventures soon at 800-644-7382. Life is either an incredible adventure or nothing at all. Call us. We Love to Talk Adventure!